Mark Doe is joined by representatives from KDYS in launching the “Summer Cooking Made Easy” night. FOR all those who are looking to be inspired with new summer food ideas and become the perfect summer host then this may be the solution. 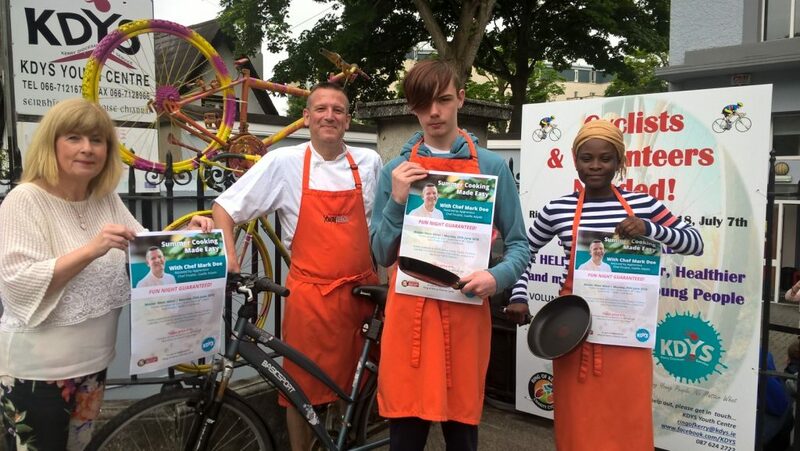 Chef Mark Doe of “Just Cooking” fame will be giving a Cookery Demonstration on Monday, June 25 in Manor West Hotel at 7.30pm as a fundraiser for the KDYS. The theme is “Summer Cooking Made Easy” and the evening will provide you with loads of tips and ideas about for great summer cooking and food. The evening will start with a drinks reception and there will be prizes and tasty samples galore. Mark will be assisted on the night by “Apprentice Chef” Finalist Gaelle Adado and with live music, a raffle and drinks reception, this event promises to be a fun night for all. Tickets are €15 and are available from the KDYS Youth Centre, Denny Street Tralee or ring 066-7121674 for more details. Please follow the KDYS facebook page for updates and more information. The proceeds from this evening will help KDYS to continue Building Futures for young people in Kerry. KDYS has an exciting vision for a future where all young people can realise their potential, can learn the skills needed for their lives today, and to ensure a healthy and successful future. KDYS is honoured to be a charity partner with the Ring of Kerry Cycle this year and support from this initiative will help KDYS to develop a dedicated Health and Wellbeing Space to extend programmes available to young people in the county. 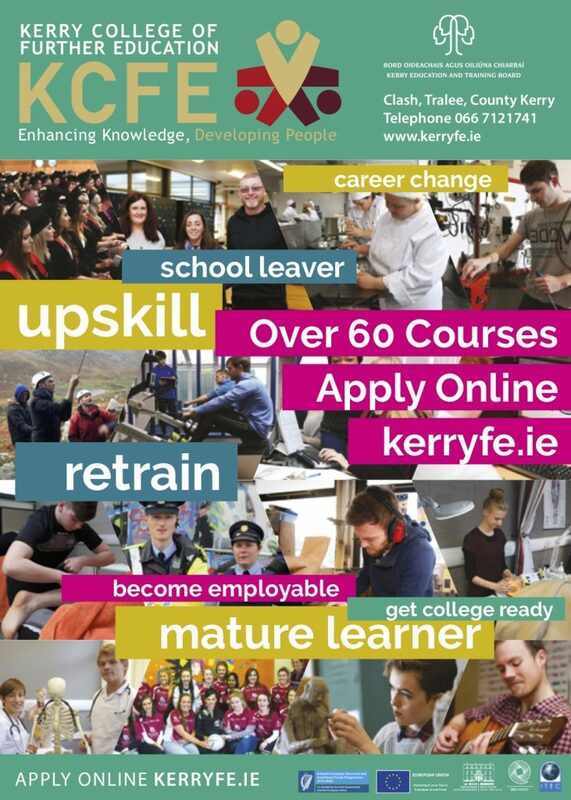 The range of supports provided by KDYS to young people focus on helping young people with; active and healthy living, personal development, arts and creativity, eating well and nutrition, helping transition from primary to secondary school, mentoring, preparing for the workplace of tomorrow, team building and leadership, mental and spiritual wellbeing, being resilient and dealing with anxiety, digital and online safety & learning skills for future employment.